Covering Newington Green's history, The Village That Changed the World tells the fascinating story of the developmentof Newington Green from its first mention in 1480 to the Green's successful regeneration in 2004. From a secluded hamlet surrounded by a forest used as an aristocratic pleasure ground, through its development into a Dissenting community which encouraged rational thinking, educational reform, scientific discovery, political debate and on to much destruction by heavy bombing in WW2 and 1960's planners. The Village That Changed the World is a story of secret meetings, king's concubines, war, poets, exile, discovery, revolutionaries, wallpaper, philosophers, regicide, destruction, renewal, Chinese missionaries, artificial flowers and fizzy drinks! Did you know that the American Constitution was conceived in Newington Green? 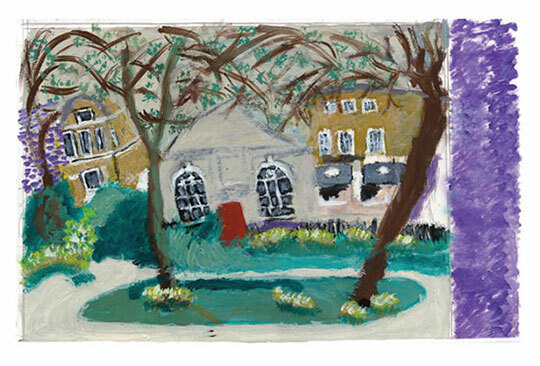 Did you know that the mother of feminism ran a girls school in Newington Green? 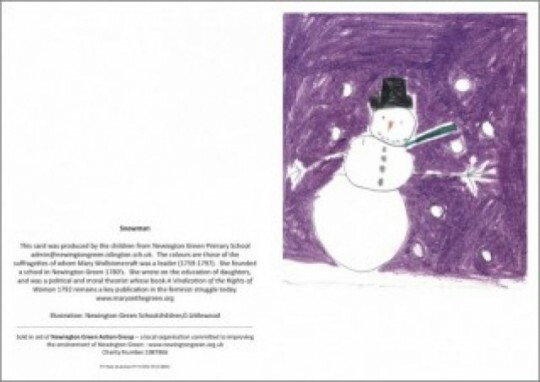 Did you know that the first school to teach in English and not Latin was in Newington Green? 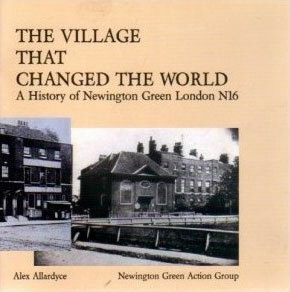 Did you know that Newington Green is the village that changed the world? Find out all the details - buy the book! 57 pages with 188 contemporary and historic photographs and illustrations. The oldest surviving terrace London. Dated 1658 and Listed Grade 1, these buildings are extremely rare survivals of pre-Great Fire town houses. 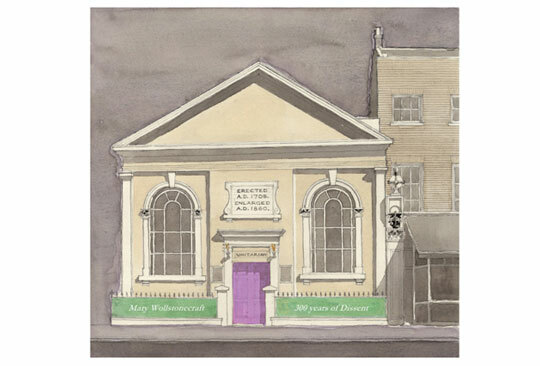 No.54 was home to Dr Richard Price (1758-84), Minister to the Newington Green Meeting House (now the Unitarian Chapel). A true libertarian, he worked throughout his life to increase intellectual, political and spiritual freedom for all people when Newington Green was an important meeting place for the radical thinkers of the day. The Unitarian Chapel, Newington Green: built in 1708 and listed Grade 11, the Chapel is the oldest surviving non-conformist meeting house in London and the heart of the area’s reputation for radical thinkers. Here numerous dissenting clergymen preached and set up schools and academies. The Chapel’s most famous Minister, Dr Richard Price (1758-1791), a liberal intellectual, mathematician , writer and strong supporter of American and French Revolutions, cast a huge influence over the political life of post-revolutionary America. He was visited here by Benjamin Franklin and John Adams, second President of the USA. The China Inland Mission at 44-45 Newington Green, built by James Hudson Taylor in 1872, trained Christian missionaries for evangelical work in the Far East. The life of the Mission’s most famous pupil, Gladys Aylward, inspired the 1959 film The Inn of the Sixth Happiness, starring Ingrid Bergman. In 2005, after consulting community groups, Shaftesbury Student Housing redeveloped the site, as Alliance House, in a RIBA award winning scheme.